It’s hard to sum up a writer whose reputation is as large, whose oeuvre is as substantial and whose creative talent is as magical as Fleur Adcock’s. Perhaps her name is a good place to start? Somehow, I’ve always connected her last name with the qualities of an ADze: the integrity and hardness of stone, a poetic vision with a sharp cutting edge, able to slice through all layers of artifice to reach the heart of the matter. And then there’s the first name: the delicacy of a flower, the lightness of touch that seems so natural, one can only wonder: How did she do that? Yes, somehow her dual-natured name, the balancing of opposites, symbolises all that she is as an artist. When I visited Fleur Adcock in her North London house, we drank tea, chatted about New Zealand poetry and wandered in the nearby woods. For someone like me who’s always in a hurry, that crisp sunny afternoon felt miraculously sealed off from the bustle of ordinary life. Adcock has the ability to live completely in the moment. Yet far from losing herself in it, she encourages it to approach: absorbs it (nothing escapes her curious interest, from the pattern on a bone-china teacup to the blazing grandeur of an English oak) – and then, with a kind of poetic alchemy, transforms it with a deceptive casualness that never eschews elegance. Adcock was born in New Zealand to English parents, who took her back to wartime England when she was a child. Her adolescence was spent in New Zealand, but when she finally returned to England in the 1960s, it seems to have been a homecoming of sorts: she’s been based in London ever since. 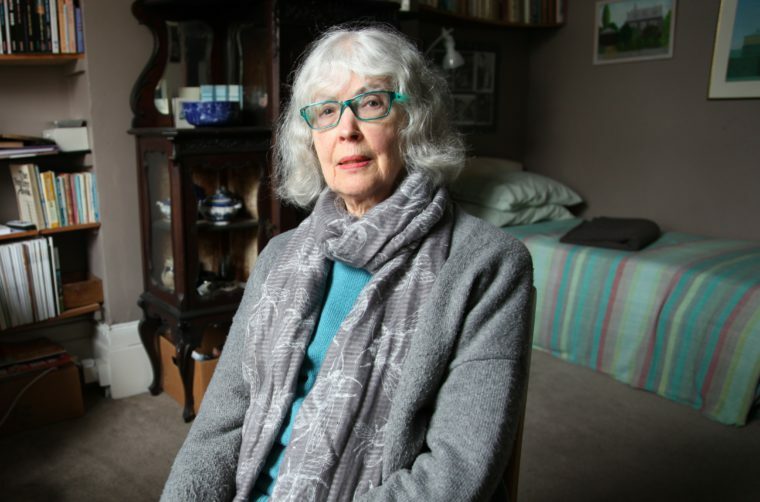 More than twenty books later, with an OBE (1996) and a Queen’s Gold Medal for Poetry (2006), she’s become a well-respected and much-admired institution in the world of British poetry. my sister and I and the Morris kids. We wore our bathing-suits under our dresses (subterfuge), crossed the live railway lines (forbidden), and tramped through bluebell woods. Yet as recently as 2014, she based an entire collection around her New Zealand ancestry. The Land Ballot was a poetic sequence recounting the story of her grandparents, immigrants from Manchester, who won a hundred and fifty acres of ‘unbroached bush’ at Te Rauamoa. In a compelling mix of fact – ‘things turn folkloric if you wait too long’ – and conjecture, Adcock recreates one of the most fascinating and strange periods of colonial history: small isolated communities establishing determined pockets of Europeanness in an alien environment. … your gentleness is moulded still by words from me, who have trapped mice and shot wild birds, from me, who drowned your kittens, who betrayed your closest relatives and who purveyed the harshest kind of truth to many another, But that is how things are: I am your mother, And we are kind to snails. This is pure Adcock: the unsentimentality yoked with deep emotion; the seemingly casual tone countered by the finely wrought rhyme and form – and then the searingly understated, undeniable denouement, which has the finality and force of a blow or a kiss. This is surely what Carol Ann Duffy referred to when she described Adcock’s talent as being encountered like ‘a razor blade in a peach’.